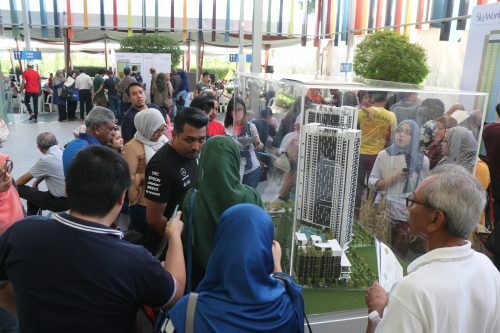 21 September 2017, Petaling Jaya – Award winning property developer, LBS Bina Group Berhad (LBS) believes homebuyers in the middle income bracket should be offered the option of homes that incorporate style, security, and convenience, at an affordable price tag. 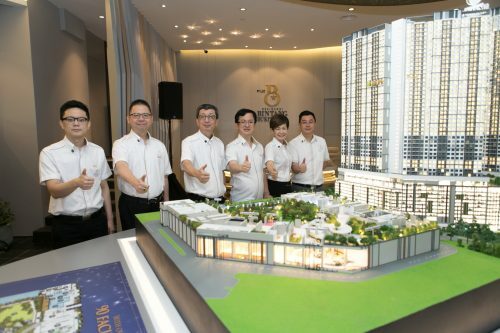 A long term supporter of the nation’s agenda to increase home ownership, LBS recently launched LBS SkyLake Residence, its latest affordable lakeside residential development located in Puchong. Built on a 5.079 acre piece of land, LBS SkyLake Residence comprises two blocks of service apartments with a total of 746 units. Available in several built-up area options, the units range from 545 sq ft to 1,063 sq ft, and caters to different target markets, be it for single professionals, young families or savvy investors. Priced from RM250,000 onwards, the stylish designs, well-planned landscapes and value-added features of LBS SkyLake Residence raises the bar for homes in the affordable segment. Leveraging on its strategic location, LBS SkyLake Residence combines the sophisticated comforts of city-living with the lush greenery of its natural surroundings, ultimately embodying its ‘Nature & Nurture, Both Are Yours concept. This lakeside development epitomises a renewed living experience, creating a family-oriented environment complimented by thoughtful designs as well as retail, educational, healthcare and shopping amenities. Convenience is a crucial factor homebuyers consider when purchasing a home. This is why LBS made a concerted effort to equip LBS SkyLake Residence with a complete set of facilities. Residents can be sure to maintain an active lifestyle through some of the 70 facilities made available. These include a swimming pool, aqua gym, basketball pool, futsal court, hammock garden, silver station, outdoor gym station, jacuzzi, picnic lawn, maze garden, basketball court, jogging track and others. Entertaining guests at social gatherings can be taken to a new level at the in-house café, indoor games room, kids bowling, adventure playground, water playground, kid’s pool, BBQ forest, Wifi corner, TV Room, and signature tree concourse among others, all located within the residential compound. Security is an equally important component LBS considered when designing LBS SkyLake Residence. The single access entry and exit point that is guarded at all times “ensure absolute peace of mind” for residents. 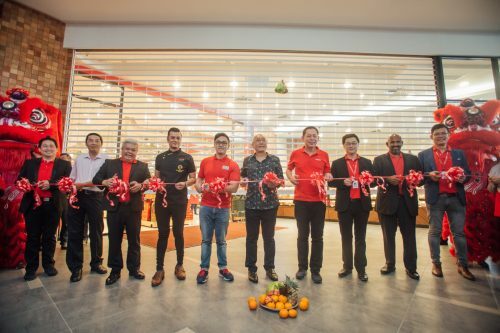 Thanks to its strategic location, LBS SkyLake Residence is in close proximity with other mature neighbourhoods including Puchong, Sunway, Putrajaya and Cyberjaya. 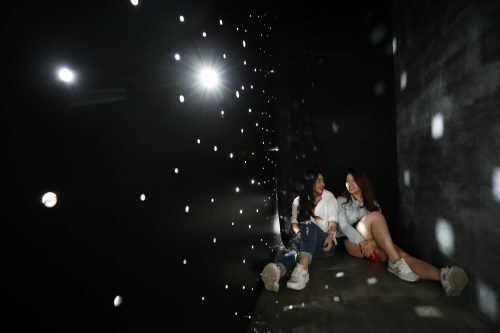 For more options, residents can opt to drive out to the variety of shopping malls and hotels, tourist attractions, as well as educational and medical institutions. LBS SkyLake Residence is easily accessible via the Damansara–Puchong Expressway (LDP), North–South Expressway Central Link (ELITE) and The Maju Expressway (MEX). Exclusive yet highly convenient with an established road network, it is a mere 15 minutes to Bandar Puteri Puchong, 25 minutes to Petaling Jaya, Bukit Jalil and the Sunway township, and a mere 30 minutes to the Kuala Lumpur International Airport (KLIA).